Back to live drawing. I loved sketching this man. He was older and loved to read. I know this because he was at the same table on my second break as he was during my first break. He could have read a whole book in that time. I did several sketches of him. This one was done in pen and ink. 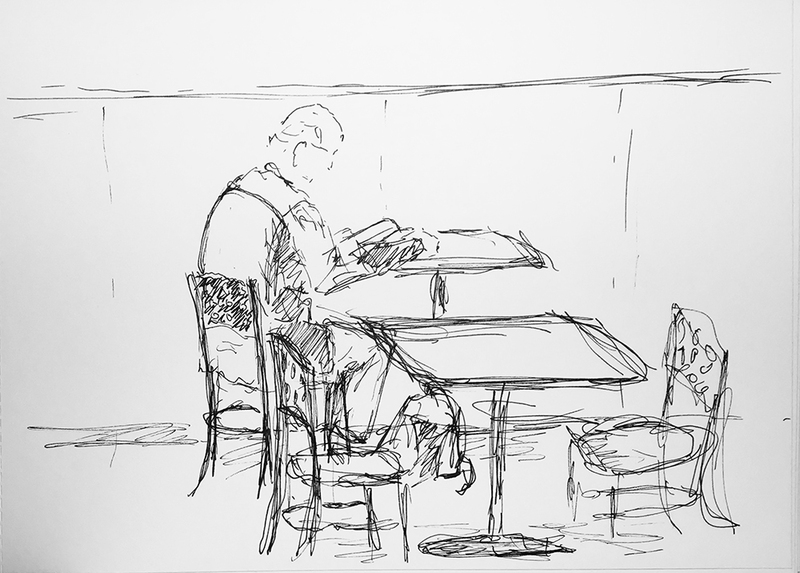 This entry was posted in Personal Stories and tagged 15 minute sketch, artistic process, coffee break, creative process, creativity, drawing, pen and ink, portrait, sketch, visual art. Bookmark the permalink.